To personalise the Assistant based on a users profile, or where they are on your site, you can create and use Smart Groups. Smart Groups can also be referred to as "segmentation"
Smart Groups can be used to restrict who can view certain modules or content in your Assistant and KB. Head to the Smart Groups management area, and click the create Smart Group button. Add the rules you'd like to set, choosing from the available options (as listed above), and if you'd like the group to match on all rules, or any of the rules. You can use the green test area to check that your rule is working as expected. Then hit save, done. You can create as many as you'd like, and with as many rules as you need in each smart group. To learn more about how Smart Groups work, and the hierarchy of permissions, check out Access Control Explained. To set up a group which uses any user info, you'll first need to pass the user data. 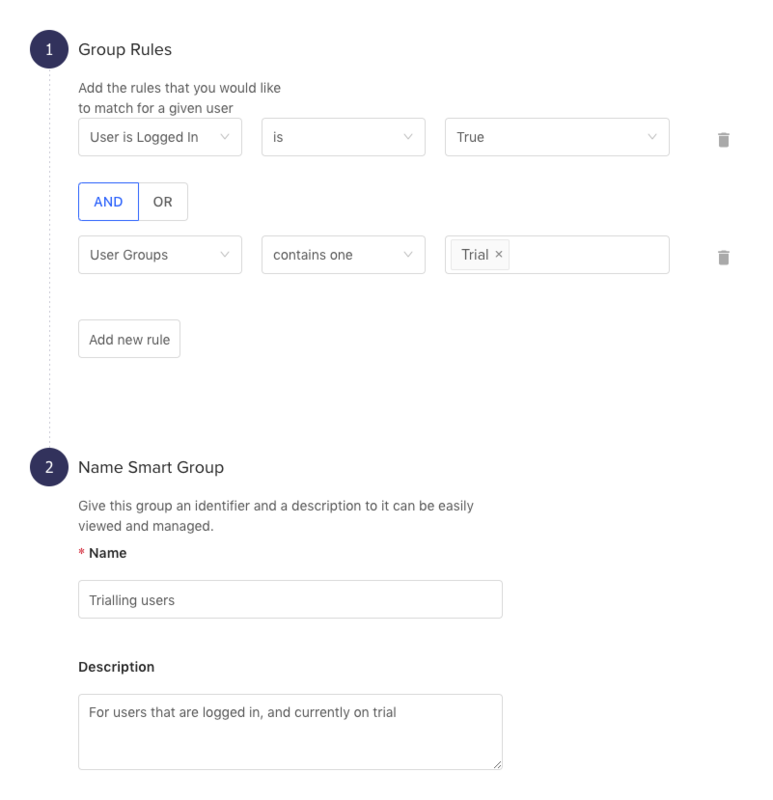 Once you've created your smart groups, you can use them by editing a module, category or article you'd like to control access to. In the settings for the resource, select which smart groups should have access, or leave it blank to allow access to all users. Hit save, and you're done.